"May the blessings of the Goddess always be with you." The boy, covered in filth from head to toe, bowed and greeted the man. At that, the man's face turned red with anger as he stood there, fuming. "How dare a heretic utter the name of the Goddess! Heretics, foreigners, and beggars alike. Get out of this town!" The boy fled from the hostile shouts back to his family. Then stones flew toward the boy, striking him and clattering to the ground. "Father, do people like that receive the blessings of the Goddess?" The boy looked crestfallen as he rubbed his swollen arm. "The Goddess is benevolent. She forgives and embraces all, no matter their wrongdoings." "But I followed the Goddess's teachings. I helped those in need. Instead of thanking me, that person cursed us." Grimden's mother gently caressed his cheek in an attempt to calm his anger. "Grimden, did the Goddess demand anything of us when she sacrificed herself for us?" "A heart that gives selflessly is the essence of our Goddess's love and mercy for us. A heart that wishes to help others is most important. If we continue to love others with all our hearts, then one day, this world will be a paradise without pain or sadness." The boy took this in and pouted. "That doesn't mean I deserve to be hit with rocks." "One day, you will understand. Come here." The boy's parents smiled as they brushed the dust off him. The boy scratched his head in discomfort. Grimden's family were wandering ascetics who traveled the land peacefully. All were different ages, origins, and skin colors. But they found harmony together under the teachings of their benevolent Goddess. Each member regarded the others as family and relied on each other throughout their eternal pilgrimage. Though they possessed nothing of value, they were always happy and at peace. The boy's parents were also ascetics. They always smiled brightly and blessed the people of the world. They paid no heed when their hard-earned food was thrown to the ground, or if they were beaten for their help instead thanked. The boy loved his family and was proud of them. He wanted to become like them one day, to join them as an ascetic who could truly share love. 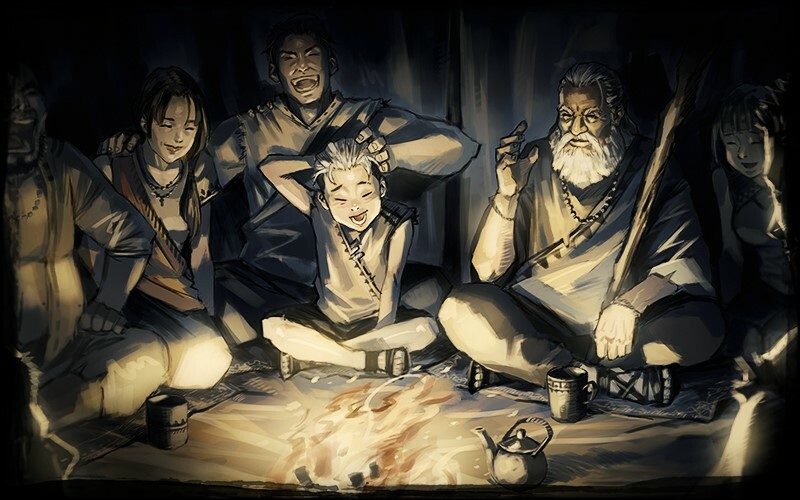 With the setting of the sun, the boy and his family sat before a campfire to hear tales from the wise elder. "The benevolent Goddess loved us and took pity on us. She sacrificed herself to seal away the source of fear and terror, the Fomor god, and asked nothing of us in return. It is thanks to her limitless mercy that we know both joy and sorrow today." It wasn't easy for such a young boy to sit still for so long, but he enjoyed the time he spent with his family, hearing stories about the Goddess. "But the world is full of those in pain, people unable to feel the Goddess's love and mercy through the scars, hunger, fear, and terror that the war has left. Like our Goddess, we must sacrifice for the people of this land, so they might see our Goddess's love and embrace the peace and joy of paradise. That is our calling and conviction. That is the goal of our faith. Know that we are always loved by our Goddess. Let us emulate our Goddess by continuing to share this love with all we meet." When the elder finished his long tale, he closed his eyes, and the other ascetics joined him in meditation. The boy quickly followed suit and recalled the events of the day. When the man's harsh words replayed in his mind, the bruise on his arm throbbed. He still harbored anger in his heart. But he believed that he could forgive the person who threw the stone if his love could bring peace and joy to the world. He could clearly picture the Goddess's benevolent smile in his mind's eye. It was a good feeling, and he thought the Goddess would be proud of him. The boy snapped his mouth shut and opened his eyes. All eyes were on him. When he realized that the glimmering visage of the Goddess was really just the sight of his mother smiling pleasantly at him through his half-closed eyes, he flushed and dropped his head. Those who had been quietly meditating only a moment before suddenly burst into gales of laughter. They laughed so hard, in fact, that it brought tears to the eyes of the elder, his parents, and everyone else in his family. Even the boy eventually joined in, laughing heartily with his family. The laughter filling the garden mixed with the campfire's smoke and rode on the night breeze, gently spreading. However, there were many who observed this spectacle from outside the campfire's warm light. They were like beasts stalking prey, quietly observing the herd laughing in the garden. The boy raised his head at the sound. It was so dark, the boundary between sky and ground seemed to blend together. He rubbed his eyes and peered around, but saw nothing. Relieved, the boy bowed his head once more. In his hand sat a small Goddess statue carefully carved from wood. It wasn't elaborate, since he had made the statue himself, but it didn't look half bad. The boy had snuck away from his family to complete his small masterpiece under the cover of darkness. The unexpected sound drew his attention again. In fear that something might jump out at him, he whipped his head around to face the source of the noise. Not far from him, a shadow shifted in the darkness behind a thick bush. Leaves swayed in the night breeze, and through them, the dark figure continued its silent observation. The boy could feel the quiet gaze of the shadow on him. It was as though he was being scanned from head to toe. He sat there shivering like a mouse before a large predator. Then he gathered all his things and stood slowly. "I need to return to the others quickly." He clutched the tiny Goddess statue in his hand and trembled. Instinctively, he knew the shadow would attack the very moment he moved. An odd tension hung in the air between the shadow and the boy. The boy ran as fast as his short legs would carry him. At the same moment, the shadow leaped from its hiding spot and pursued him with frightening speed. The end of this intense chase would decide whether he lived or died. The boy's breath was ragged as he ran desperately across the field, and his heart felt as if it might burst with the effort. The distance between them narrowed until the shadow was a mere arm's length away, then maintained this distance, as if enjoying the chase. Though he grew tired, the boy spurred himself on thinking of nothing but his family. "If I return now, my whole family will be in danger." Even if the boy managed to reach his family, not one of them could face his pursuer. By leading his assailant to his family, the boy would endanger all of their lives. It's better that I die here and now than risk my family. His mind filled with images of his family's kind, smiling faces. He clutched the Goddess statue in one sweaty hand and a sharp chisel in the other. "Goddess, please give me courage." The black shadow stopped just as abruptly. A long silence stretched between them. Then they flung themselves at each other. The boy leaped as high as he could and tried to stab the chisel into the dark figure's back. But the shadow disappeared, reappeared behind him, and effortlessly struck him in the back with a strong blow. The boy fell to the ground, helpless. As he lost consciousness, he struggled against the confines of a large piece of fabric. The boy groaned as pain dragged him from sleep. His body ached as if he'd been beaten by clubs. When he stood, the weight of heavy chains pulled at his ankles, and a chill rose from the cold stone floor. The effort of standing made it nearly impossible to recall what had happened to him. The dark shadow had undoubtedly dragged him here. Then he remembered his family. There was no way to tell if he had saved his family or if they had been taken with him. He desperately prayed that at least they would be safe. Then he took stock of his surroundings. There were mysteriously obscure markings where the lamp's faint light fell. Other than a large metal door, there wasn't so much as a crack to see, let alone a window. The tomb-like room seemed perfectly suited for some heinous criminal or beast. The boy attempted to reach the rusted metal door, but the weight of his shackles dragged him to the ground. Then the door slowly opened. Three masked figures silently appeared in the doorway. The disguises they wore hid their identities well. Their matching garb made them seem inhuman, like clones of some evil being. The only proof it wasn't ghosts standing before him were the twisted smiles visible beneath their hoods. Their masks were identical to that of the boy's assailant. Then the figure in the middle slowly approached the boy. He circled the boy, observing him and scrutinizing his appearance. "Hmm, of all the potentials that arrived today, you are the best. We don't often see such sturdy individuals. You will become a fine weapon one day." The boy glared defiantly at the figure, refusing to betray his wariness. "Those who serve by my side are called ministers. I will guide you to a better life. Now I'll ask again. What is your name?" The boy stood in stubborn silence. The guide stepped away with an air of amusement. "This is your escape from an inferior and destitute life filled with misery. You will be reborn into a powerful, beautiful, and faithful existence. As long as you follow the path that I lead, we will become a family." The very moment the villain who tore him away from his family uttered that word, anger rose from deep within the boy's heart. And he decided he would never bow to this monster's will. "I'll ask again. What is your name?" "I won't tell you. Never." In an instant, the guide struck the boy across the cheek. The boy swayed with the force of the blow and pain seared across his flesh. The taste of iron filled his mouth as blood dribbled past his lips. The boy was more afraid than he'd ever been. It was very likely that the next time he didn't answer, the blow would come from the sword that hung around the guide's waist. But the boy suspected he wouldn't ever be able to escape if he backed down now. So, he found his courage and raised his head. His eyes burned with rage and defiance. Again, the guide's voice rang loudly through the room. "Answer me! What is your name?" At a quick nod from the guide, the ministers who stood nearby tied the boy down. The boy struggled, but he was no match for them. "Few hold out as long as you. The fear takes root and gnaws at them until they succumb. Those types are too easy to break. They're less valuable." At another nod, the ministers pushed the boy down. He resisted with all his might, refusing to kneel. "But you are different. Your mind is just as strong as your body." The guide slowly approached the boy, who was finally forced to kneel. The guide was smirking behind his mask. "Your education won't be easy, but I think we'll manage." The guide grabbed the boy's chin and forced his head back. Then he raised a small bottle and poured the liquid down the boy's throat. The guide took a forceful tone with the weakened boy, whose eyes stared blankly into space. The guide patted the boy's shoulder, pleased. From that day forward, the boy was extensively educated and trained for combat under the guide's watch. They intended to transform him into a powerful weapon that would obey their every command. These assassins kidnapped young orphans or poor children and trained them to be ruthless killers. They worked for wealthy individuals who required their unique abilities and services. They pushed the boy to his limit every day and every night as though they were tempering a piece of steel. They forced unusual potions on him and did everything they could to break his mind. Before long, the boy possessed enough strength to overpower a grown man. And thanks to his sturdy build, he improved much faster than the others with him. As his body grew stronger each day, his mind grew weaker. Every day they gave him more potions that erased the person he was, destroying his memories, emotions, and dreams. Those things were replaced by obedience and a thirst for violence. The guide was like an artist, reshaping the child's mind with violence and brainwashing. All of this to turn Grimden into a heartless weapon of the highest quality. As this happened, the boy struggled with all his might. He used every ounce of effort he had to prevent them from conquering his mind, to avoid being swallowed in darkness and oblivion. He resisted, so he could remain Grimden. He resisted to remain himself. One single memory saved the boy's mind every time the training threatened to wash his mind away. "Know that we are always loved by our Goddess." He could no longer remember who had said it. But that single phrase reminded him that he wasn't alone. And the boy found immense solace in that. He desperately clung to this memory over and over whenever he was in pain. Of course, the more he resisted, the more ruthless his mentors were. The guide severely abused the boy to gain his complete obedience. This battle of wills between the guide and the boy continued until the day the boy seized on a chance to escape. He couldn't explain how, but he had somehow managed to break free of his brainwashed state after a brief period of headaches. Filled with the hope that he might see his family again, he evaded those who pursued him to escape through mazelike paths. Then, after he had finally discovered the exit, he froze. He had forgotten his family's faces and where they had once lived. The freedom he yearned for was steps away, but his will shattered into a million pieces when he realized he had nowhere to go. He stood contemplating this at the front of the door for some time, and the guide eventually recaptured him. Then they returned to the darkness together. After that, the guide became more severe and ruthless, determined to break his will. The boy's shattered heart only worsened, and he withdrew into the darkness, led by the guide. "Finally, the ascetic child vanished into the darkness, and a powerful weapon rose in his place. - An elaborately decorated wagon was traveling along the forest path in the rain." "A muster on a day like this. I mean, are we just going to take it? They don't respect us, and I'm sick and tired of following their whims." "Don't worry so much. They need me. Everything is going according to plan." The wagon swayed and came to a stop. "What's going on? Damn it." The listener opened the door and stepped outside. The remaining man anxiously looked on. At that moment, a dark shadow passed the window. Soon after, he heard a heavy thud. The man rushed out of the wagon with his sword drawn, but it was far too late. Two bodies were sprawled near the wagon, dead eyes staring blankly up at the sky. Though the air was sticky with moisture, goosebumps prickled up the man's arms. "Damn it! Was this an attack? Who...?" A large, dark figure quietly watched him. Fear overtook him, and his breathing quickened. He knew instinctively the beastlike figure would cut him down the moment he turned his back. The man gritted his teeth and readied his sword. The sword point shook pitifully before him. He swallowed, mouth as dry as a desert, waiting to meet his end. Suddenly, the shadow moved strangely. His foe kneeled, clutching his head with one hand. The shadow was clearly in pain, groaning and breathing heavily. Seizing on this sudden opportunity to escape, the man dashed away from the shadow of death. "Pathetic! Those fools thought they could kill me that easily! Ha!" He laughed like a madman and shouted his triumph as he ran. On he went, stumbling and falling in the mud and rain, ruining his most treasured clothing without a second thought. Then the man finally broke free of the forest path. A gate into the city was within sight. Soon, he would be close enough to call for help. He whooped loudly in triumph. A long, sharp blade suddenly protruded from his stomach. The man halted mid-laugh and collapsed to the ground in a heap. Then the dark shadow approached as if to confirm the kill. He still clutched his head with one hand. As the man lay dying, he used the last of his strength to turn his head and see who had taken his life. Through the fingers clutching his face, a murderous rage burned in the dark shadow's eyes. But behind those eyes was nothing but vast emptiness, even less than the eyes of the dying man. "...an assassin. Why... what... who..."
His dying breath was spent on a pointless question. As the shadow looked on, he quietly adjusted his grip on his sword. Then the rain stopped, and light shined dimly through the clouds. The shadow had already disappeared, as if it had melted in the light. The man's body lay among the leaves, rocks, and mud surrounded by grass swaying in the breeze. "Very satisfactory. You truly do possess an amazing weapon." A client wearing extravagant clothing stared contentedly around the room. The weapon's presence could be felt throughout the room despite being hidden within the shadows. "I suppose one day this frightening blade might be turned against me. Isn't that so?" At the client's question, the robed guide bowed and answered politely. "Please, we're not a group of mercenaries easily swayed by money. We possess far more honor and loyalty than that." "Ah! I hope you don't think ill of me for saying that. I merely intended to praise your ultimate weapon. I look forward to our next meeting." "Of course. Please do call on us again." After ordering his servants to move the crate with his payment, the client left. The guide checked the crate, then turned toward the shadow, who stood silently waiting with his head bowed. "You've done well, my weapon. It is time for you to be rewarded." Looking on his masterpiece with pride, the guide shackled the weapon's hands. "Let's return to your room." After following a series of winding, complex paths, Grimden returned to his room. Though he had been there a long time and completed countless assassination missions, his room looked the same as it had the day he was kidnapped. Ministers quickly shackled his legs as soon as he entered. He offered no resistance, and between the shackles and his blank expression, he was like a puppet with its strings cut. The guide slowly poured yet another concoction into Grimden's mouth while chanting softly. "The red flower knows where death is from." "I am a reflection of the one that died four times." "I am a shadow. I slay on command." "What do you wish for?" Grimden answered each question without hesitation. The guide gently lifted his head, satisfied. "Good. We will burn the incense soon. Rest." Grimden lowered his head the moment the metal door locked. The headache he'd been hiding overwhelmed him in an instant. Soon, a foul-smelling smoke billowed into the room through vents. The pain that had plagued him all day didn't dissipate. Neither the potion nor the incense relieved it. Their measures to keep him controlled only worsened the pain. He had long been trained to endure any level of pain. But after so many years of abuse, his mind had been broken by brainwashing, memory manipulation, and harmful potions. He was acutely aware of it the moment that headache began. But this was the first time the pain had become so unbearable. At a crucial moment, he had nearly lost consciousness. Today almost became his first failed mission. The worst thing a shadow could ever do was fail to fulfill a command. He could not allow the guide to learn of his condition. Grimden's will had been broken by brainwashing, but some feeble desire to resist may yet have survived. Grimden sat on the floor and clutched his head as the pain escalated. He struggled through the pain. Then a faint memory came to him. He considered the final moments of those people he had cut down. Humans, Fomors... He'd taken countless lives with no regard for who they were. He remembered every question and every hateful curse his victims uttered. He remembered every single one. Like the engravings in the wall he leaned on, those moments of death had been etched in his mind. But those deaths held no meaning for him. He was always indifferent to those memories of the dead. Worthless emotions were of no use to a weapon like him. His head throbbed as if it would burst any moment. In no time at all, he broke into a cold sweat. "...Know that... we are always loved... by our Goddess..."
For the briefest of moments, he heard a voice in his ear. It mixed with other sounds, sometimes loud clear, sometimes low and fading. Whenever he recalled the word, his head throbbed with pain. He unconsciously clawed at the ground as his pain worsened, his nails tearing and bleeding. The more he tried to calm himself, the more chaos stirred in his mind. His cries of pain drew the ministers and guide, who rushed into the room. "He's losing his mind, but we have no idea why." They pinned a struggling Grimden to the floor and poured the drug into his mouth. As it began to take effect, Grimden fell into a deep sleep. "He may not be able to complete his missions tomorrow if this continues. It would be wise to use another shadow..."
"No, he will last until tomorrow. Everything will go according to plan." The guide spat these words as he stared down at his masterpiece in dismay. "...Has he still not been broken?" - The next day, the black herd sped through shadows cast by the bright sun." They'd received orders to wipe out the targets living in seclusion. Their hideout was deep in the forest. It was as if they were confident they would never be discovered, but the place was terribly shabby for a hideout. The shadows waited quietly, slowly tightening the noose around their prey. Grimden stood in his assigned position, waiting for the signal to pounce. When time came, he quieted his breathing and prepared to approach the targets. But at that moment, the ringing voice in his ears returned. In a desperate attempt to shock himself out of it, he stabbed his own leg with a knife. But it was no use. The pain in his head was unlike anything he'd endured before. The surrounding light became blinding, and his heart beat at a furious pace. His vision blurred and shook wildly. Grimden gasped for air and clutched his head with both hands. He could no longer differentiate one person from another. He couldn't even recall why he was there in the first place. Confused, he groaned and broke formation, madly charging forward. The subsequent noise alerted their targets to the danger, and they fled. Rather than care for the straggler who broke rank, the team of shadows hunted their fleeing prey to fulfill their mission. Hallucinations, ringing in his ears, and unbearable pain robbed him of sanity. While he raged, he felt nothing but the urge to kill. A sharp cry broke through his hallucinations. When he raised his head, he saw two figures. All he could tell was that a human and a Fomor were facing off against one another. The Fomor's rage roused further hate in him. Every fiber of his being screamed for him to slay the Fomor. His head rang with the guide's voice. He stumbled toward the Fomor and let loose a single, powerful attack aimed at its head. The moment his target's blood sprayed across his body, Grimden gasped for air and fell as if he'd expended every ounce of energy he had. The last thing he saw was the blurry image of another figure approaching. Grimden burst from sleep like a shot. His head still throbbed, but the illusions and sounds had faded. Then he realized his Katamar was missing. He felt vulnerable and ashamed for losing his weapon. He rose quickly to his feet. As he did, the warm blanket covering him dropped to the floor. A strange sight greeted him. The light from the setting sun shone dimly through the cabin's window, and a small, decorated fireplace blazed nearby. He felt out of place, like a streak of black paint swiped across a beautiful painting, completely out of harmony with the house. There was a rattling sound, indicating someone was on the other side of the wall. His first instinct was to hide behind nearby furniture. He silently prepared to attack, keeping a wary eye on the kitchen. Soon, an old woman appeared. She held freshly baked bread in her hand. The empty bed seemed to startle her, because she jumped. "Oh my! He's already up? Where could he have gone?" After placing the loaf on the table, the old woman began humming merrily, picking up and folding the blanket that had fallen to the floor. Grimden was taken aback by the woman. He hesitated, unsure what to do, then decided the old woman was no threat. Slowly, he stepped out from his hiding place. "Ah, there you are! My eyes are so bad, and I couldn't see you." “Young man, you must feel awful. Please, come sit over here. I've baked some bread for you. I hope you like it." She reached out a wrinkled hand to grip Grimden's arm. Then she led him to his seat as if she were caring for a beloved friend. Her smile broadened as she watched the perplexed young man whose face was heavily scarred. "I don't know if you remember, but you saved me. Just when I thought I'd finally met my end, you appeared like a shadow. After you passed out, I was so worried you would never wake up. Your face was pale, and you kept groaning in your sleep. I thought something terrible might happen." She pushed the dish with the bread closer to Grimden. The smell that wafted from the freshly baked bread tickled his nose. In truth, he hadn't eaten a proper meal since he'd been kidnapped. The entire situation baffled him. All at once, everything felt strange, and yet familiar. It was so strange for an old, defenseless woman to take someone like him in without fear. It felt like a trick. But he wanted to accept her warmth and hospitality just the same. He reached carefully toward the dish on the table. But he stopped half way, dropping his hand to the table. "Shadows can only live in darkness. Shadows who venture into the light disappear." The guide's voice echoed in the back of his mind. The only place for him was his room within the darkness. His existence was not permitted in a place like this. As he sat considering this, a small trinket atop the fireplace caught his eye. He approached the fireplace in fascination and carefully plucked the item off the mantel. It was a wooden statue that had been carved into the likeness of a small woman with wings, a goddess. The old woman spoke to Grimden as he stared at the statue in astonishment. "I received that when I retired from my life as an Oracle long ago. The others gave it to me when I left the temple, so that I might pray to the Goddess any time. Many years have passed, but this Goddess statue still reminds me that the Goddess is always by my side." She gazed thoughtfully at the sunset through the window. A loud noise issued from where the young man had stood only a moment before. Startled, the woman rushed over to him. That strong, seemingly unbreakable weapon had sunk to the floor, clutching the Goddess statue to his chest. Tears quietly streamed down his face. The old woman pitied the childlike figure who lay trembling on the floor. So she sat down next to him and gently patted the young man's shaking back. "Don't worry, child. I don't know what's happened to you, but everything will be all right." She stayed quietly by his side until he calmed down. When Grimden finally regained his composure, the sky outside had turned to twilight. The events of the day seemed to have caused a rift in his heart. Thoughts that had been locked away in his mind for so long came spilling out in a torrent of emotion. Memories he had thought were lost in darkness suddenly sparked to life. and his desire to share the Goddess's love. Although they were just fragments of memory, they were enough, and he treasured them. His heart was filled with joy at rediscovering himself. There was far too much blood on his hands. It didn't matter that he had no control of himself. He was responsible for taking countless lives. The smell of blood suddenly seemed heavy in the air around him. He was a monster unworthy of living in the light. "Thank you for saving me." Grimden spoke in a hoarse voice. It was the first time he had spoken to anyone other than the guide since his kidnapping. "What do you mean? I haven't done anything." She stared confusedly at the young man. His large hands quivered at his sides. She took note of his discomfort and hunched over to grasp his hands. The warmth from those small, frail hands soaked into his own. It soothed the fear and hesitation from Grimden's heart and gave him courage. After a brief silence, he gave voice to his greatest fear. "How could a horrendous killing machine like me be allowed to exist in this world?" The desperation and suffering in his eyes was almost painful to behold. And she seemed taken aback by the question. Grimden feared the old woman would recoil when she saw the dark, bloody weapon he truly was. But she only gripped his hands more tightly. The old woman fixed Grimden with an intense gaze and spoke. "Young man, I have no right to judge you. Whether or not you deserve to exist in this world is for the gods to decide. What's important now is how you live your life going forward. If you devote yourself to goodwill, the Goddess will always be beside you, guiding your path." "Live the life you’ve been given." It was a gentle, yet determined message. Each and every word touched his heart and granted him the very salvation he desperately needed. The despair that had once surrounded him like armor suddenly crumbled like eggshell. At that moment, he sensed multiple people around the cabin. The shadows searching for their straggler had finally found him. He knew all too well that they were watching the cabin closely, waiting for the perfect moment to capture him. In an instant, he located his Katamar. He knew they would try to attack before he could arm himself. Grimden spoke to the woman in a low voice. "They've come for me. I can't let you be dragged into this. Please! Hide yourself!" At that, she nodded and moved quickly out of sight. Then he lunged for his blade. In the same instant, every window in the cabin shattered. Shadows invaded the cabin in a single, coordinated strike. Grimden leapt backward and slashed at his enemies' vital points. It was utter chaos in such a small space, and the dark figures collided with one another as they fought. The old woman's scream carried over the noise of the fight. Grimden staved off multiple attacks and struggled to turn his head toward the sound. One shadow had discovered the old woman's hiding place and dragged her out of it roughly. Grimden immediately changed tactics and ran toward her. He sliced his blade across the shadow who had grabbed her and leaned over to check on her unconscious form. Then he felt a searing pain in his arm. 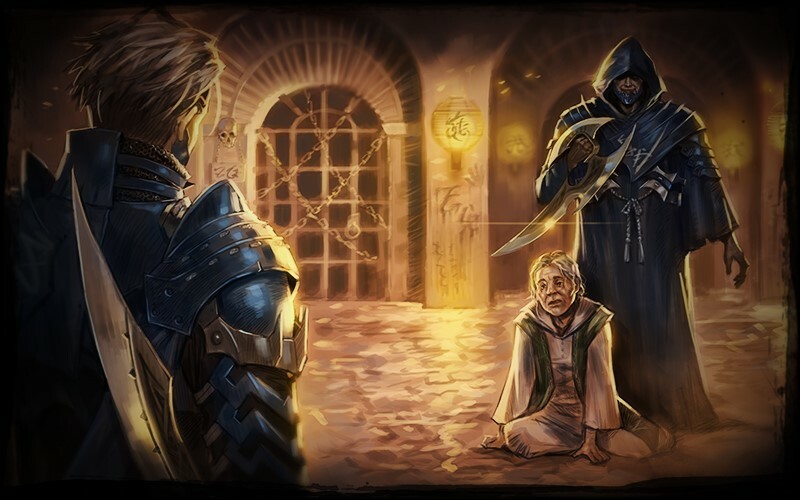 The shadow Grimden had injured had recovered and managed to stab him. Grimden drew a small dagger coated with a paralytic agent from his arm. His body reacted almost instantly, refusing to follow the motions he had practiced for so long. He stood and faced the shadows surrounding him to protect the old woman. But he soon collapsed, unable to withstand the drug. "The shadows bound him tightly and disappeared into the darkness, leaving the devastated cabin behind. - The ministers dragged Grimden back to his dark room." The guide was there, waiting for him. He greeted him happily as the ministers brought him in. 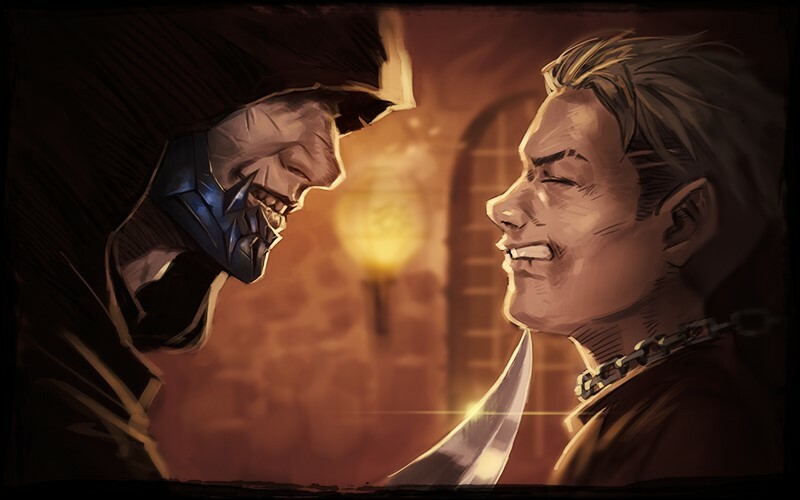 Grimden stared at the villain responsible for destroying him with hatred. "The look in your eyes reminds me of the day you first arrived here. You didn't know when to fold then either." Grimden struggled, desperately wishing he could strike the man. The guide gestured, and someone was dragged into the room. It was the old woman who had helped him. She seemed frightened, but uninjured. Deep down he was relieved and nodded slightly to reassure her as she quivered with fright. "This woman cared for you while you were away from us. Is that correct? Thank you for looking after my lost weapon." The guide made a small bow towards the old woman, who sank low to the floor in the center of the room. "Thanks to you, he will be born anew as the greatest weapon I have ever created." At those words, the ministers forced Grimden to kneel and injected something into the back of his neck. The substance spread quickly and seeped into every fiber of his being. In an instant, he felt nothing but excruciating pain, as if his entire body was aflame. His vision burned with a blinding light, and all he heard were his own shrieks of pain. Grimden pounded his head against the floor as he screamed. The guide slowly walked around him while muttering unintelligibly. 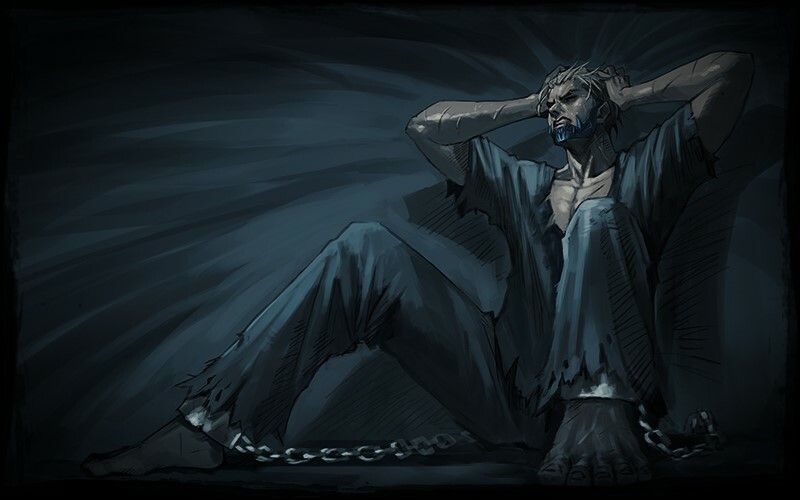 The words he uttered took form as powerful restraints to bind Grimden, who lay panting and gasping on the floor. As he struggled, only one wicked desire was forced through his mind. The old woman looked on as this terrible scene played out before her. The sight of the young man in pain was too ghastly to watch. She couldn't even begin to fathom how much he had suffered. Then she remembered the question the young man had asked. Only now she understood why he had asked. She saw how empty her words of comfort must have seemed to him, how much of a burden he carried. It no longer mattered to her what happened. If her death could save this pitiful soul, she would gladly make that sacrifice. In a moment of iron resolve, the woman jumped to her feet and threw herself between the young man and the villain responsible for his agony. The guide shouted at the young man in response, as if he had already expected her response. "Now, Grimden. You will kill this woman with your own hands!" The screams abruptly ended, and a deadly silence filled the room. 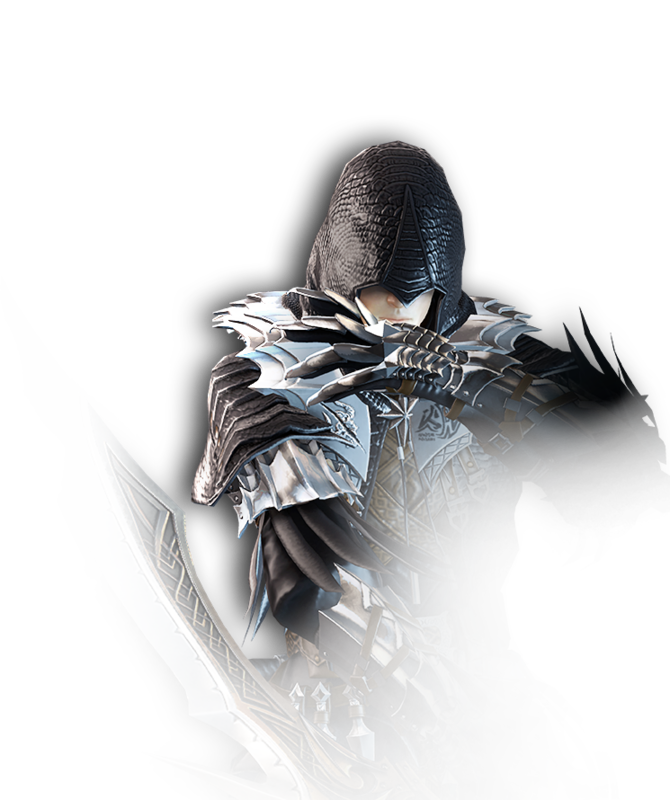 The dark form slowly rose from the floor and grasped the sword placed beside him. Its eyes were blazing with pain and madness. The guide, once again, shouted triumphantly. "Grimden! Cut down your final flaw. Destroy the last of your petty will. Annihilate your true enemy!" The shadow obeyed and staggered over to stand before its victim, blade raised. The old woman met the young man's eyes without fear. His face was twisted in pain and dripping both blood and tears. In her final moments, she began to pray for the young man's soul. She clasped her hands together and lowered her head. The sound of his sword slicing through air was unmistakable. Then she heard something less distinguishable, a heavy weight dropping to the floor. The old woman paused mid-prayer and opened her eyes. Someone else had fallen to that blade. Grimden stood staring down at the guide and ministers sprawled across the bloody floor. The people who had tormented him for so long were slain by their own creation. Any last words they may have uttered died with them. Shaken, but none the worse for wear, the woman slowly approached Grimden to check on him. Pain still wracked his body, but it seemed to be subsiding. She took his hand and tugged gently. There was no time to waste. Grimden carried the old woman on his back and ran along the path he had traversed countless times before. 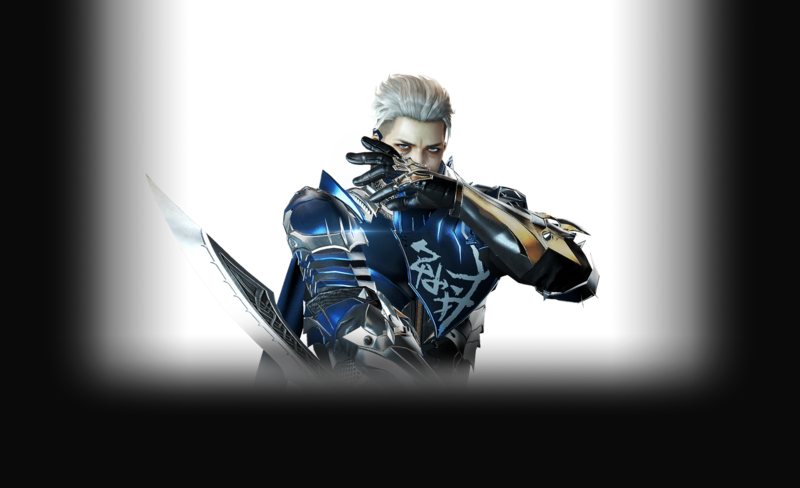 Shadows appeared out of every corner, but not one survived the bite of his blade. He cut down all who opposed him and opened every cell door on his way to freedom. Those children who had been kidnapped just as he had all those years ago rushed from their rooms and ran for the exit. Once he was sure they had all safely escaped, he knocked torches from the wall. Fire shot up the pillars and blazed through the entire area. Black smoke choked every hall. Grimden and the old woman sped toward the exit, and the shadows pursuing them fell to the smoke and flames. There was nothing to stop them now. They paused in the open doorway, appreciating the warm sunlight and gentle wind. Grimden considered everything that had happened to him in this place. He still couldn't remember where he had come from. But he felt different about it this time. This time, there was someone by his side to take his hand and lead him toward the light. He carefully lifted a foot and crossed the threshold. - When Grimden finally returned to the small cabin, it was with his new guide. He became fiercely loyal to the woman who had saved him and decided to stay with her to fix the cabin. She provided a home for him, and over time, the two grew as close as a mother and son. He lived peacefully and slowly recovered his broken mind. The years of torment had taken their toll. It took just as long for him to recover from it and even longer to regain his identity. It was not an easy journey, but the woman stayed with him, providing all the support he needed to recover. He was slowly rewarded for his efforts with new, joyful memories. And his lost memories slowly returned. Newfound hope grew within him, a hope that he could one day find his lost family. Over time, his body and mind recovered, and he finally had the courage to face his dark past. 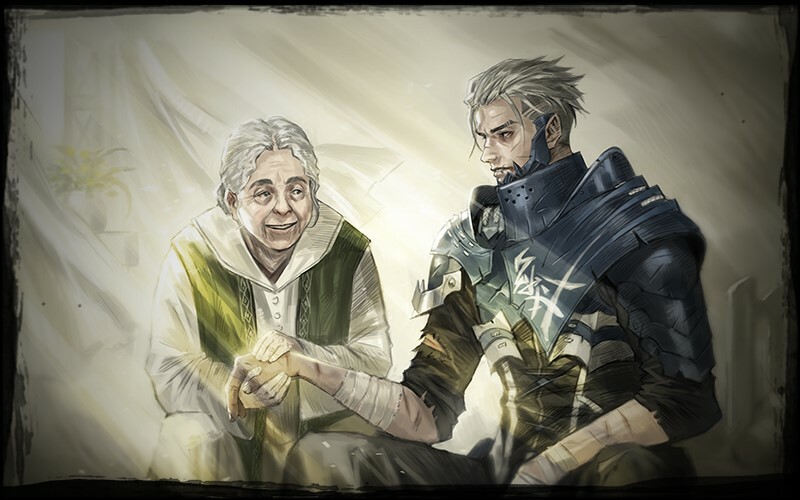 The old woman had finally persuaded him to use his talent to help others and atone for his past misdeeds. He gathered the weapon and equipment he had stored away long ago and placed them on the table. Once, they had felt like a part of him, an extension of himself. His blade was stained by blood so dark it shone through the cloth he had used to wrap it. It was a symbol of the ruthless monster he had once been. His fingers slowly traced the edge of the blade. The lives he had taken could not be returned. Neither could the sins he had committed be undone. He could never achieve his childhood goal. He could never be a noble soul, sharing the Goddess's love with all. But he could wield this blade to save and protect her precious people. If he could atone for even a fraction of his sins, he could be content. It was fate, then, that Grimden should learn the local mercenary unit was hiring. They recruited on skill alone and were unconcerned with his past. Joining a mercenary unit seemed like the perfect opportunity to use his abilities for the good of others. The next day, the old woman wished Grimden well as he left the cabin that had been his sanctuary for so long. He confirmed his Katamar was snug in the belt at his waist, then made his way toward Colhen. No matter what challenges lay before him, he was prepared to face each and every one. Grimden was once a wanderer, traveling around the world spreading the goddess’ love. And one day was kidnapped by a mysterious man who appeared out of nowhere. Grimden was then reborn, into the merciless deadly assassin he became today. Explore the darkest paths with Grimden. The deadly assassin strikes swiftly along with his cloning abilities, making his attacks unpredictable. Make sure you hold your breath, as Grimden will strike you within the blink of an eye. 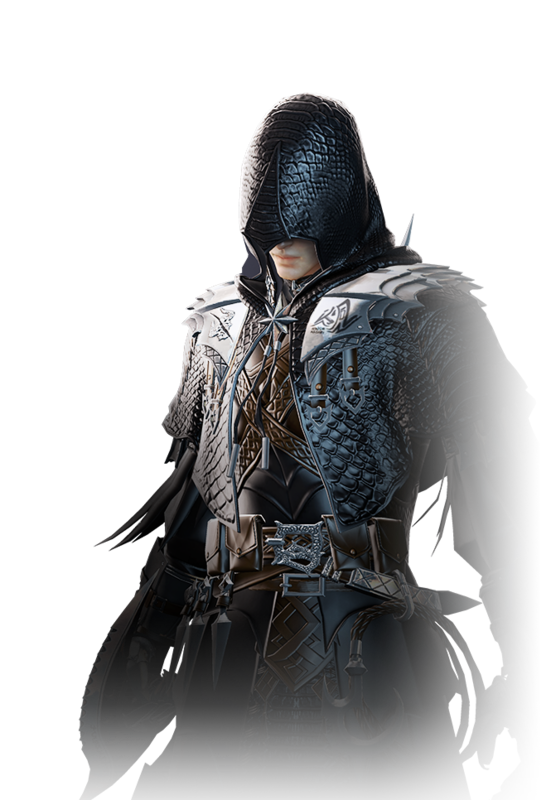 There won’t be enough time for you to plan your next move against this deadly assassin. Create the GRIMDEN character through an additional slot. Send the ‘GRIMDEN Registration Reward Package’ to GRIMDEN to open the package. 2018 NEXON Korea Corp. and NEXON America Inc. All Rights Reserved.